Open Mindful, Philosophy on the Fly! New Book Cover, Chapter Index and Page Numbering. 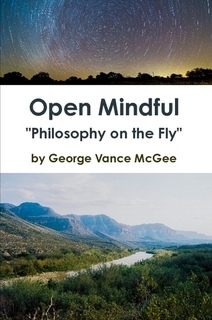 Open Mindful, Philosophy on the Fly! New Book Cover and Chapter Index and Page Numbering! The new front image book cover was kindly provided by Jonathan Vail Photography. The Interior Book pages and layout has been improved by Dynamic Graphics in Austin, Texas on 12th and Lamar. Dynamic Graphic is the best in my eyes. So, there you have it with a visually improved, page numbered and enhanced book revision to READ! Still for Sale ONLINE everywhere, Lulu.com, Amazon.com, etc and in Retail Stores @ BOOKPEOPLE. BookPeople is the largest independent Bookstore in Texas. It is located Downtown circa west 6th street and Lamar Boulevard. Thanks for reading and being open to living an OPEN MINDED life. "Open Mindful was birthed and commenced after the author was happily laid off once, from his Madison Avenue corporate job in New York City. This book is a fast moving chapter creation and journal. 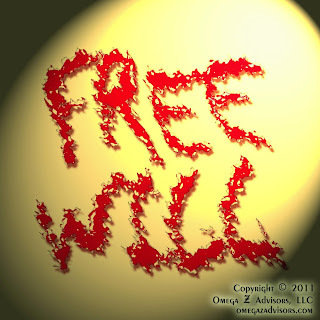 The main theme is for society and humanity to embrace free thinking. Mr. McGee's self help book is aptly titled. I love his cavalier writing style ("philosophy on the fly") that keeps things fresh, never boring. Mr. McGee is refreshingly honest, he does not attempt to sugar coat his ideas. He says what he thinks. Open Mindful isn't your traditional self help book. It's full of stories/anecdotes from his life that engage the reader on a personal level; for me, this made it more accessible and less of a chore (like other self help books can be with all their worksheets and chapter exercises). It was about finding what you need to work on, but it's also about accepting who you are and owning it, no one does it better than Mr. McGee. Something special. Loved it! Authentic, interesting, fun book that was super entertaining! Located in the Western Philosophy & Contemporary Thought Section. Go happily visit the 6th and Lamar ATX, vibrant BOOKPEOPLE store and buy my books!